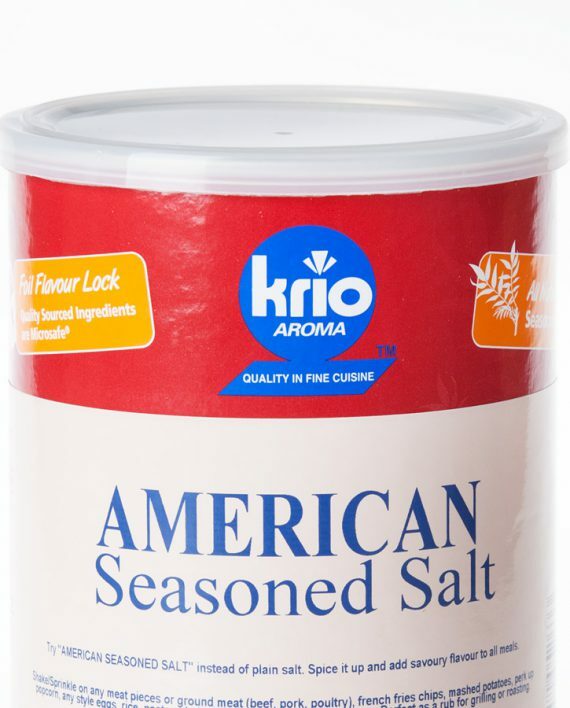 Try “AMERICAN SEASONED SALT” instead of plain salt. Spice it up and add savoury flavour to all meals. Shake/Sprinkle on any meat pieces or ground meat (beef, poultry), french fries chips, mashed potatoes, perk up popcorn, any style eggs, rice, pasta salads, vegetables, soups and sauces. Perfect as a rub for grilling or roasting.